DMRC is planning a centralized online monitoring of all the escalators as well as elevators, which number over 1,500 across the entire Delhi Metro network. New Delhi: Delhi Metro commuters often complain about escalators stop moving suddenly or remain out of use for days. 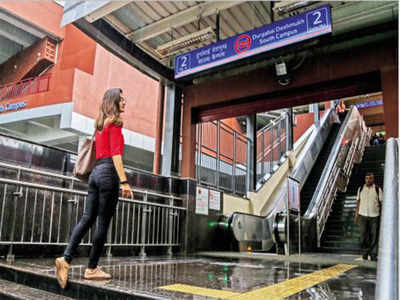 Now, the Delhi Metro Rail Corporation (DMRC) is planning a centralized online monitoring of all the escalators as well as elevators, which number over 1,500 across the entire Delhi Metro network. The central command center will be notified immediately about any glitch and the concerned station control room will be intimated to fix the problem right away. Initially, it is being implemented on the 59 km long Pink Line between Majlis Park and Shiv Vihar, which is also the longest corridor of Delhi Metro. The line covers 38 metro stations, which have 135 elevators and 215 escalators. Out of these, 56 elevators and 106 escalators are already being used by the public and the balance equipment will be made available on the opening of the other sections for revenue operation later this year, the report stated. 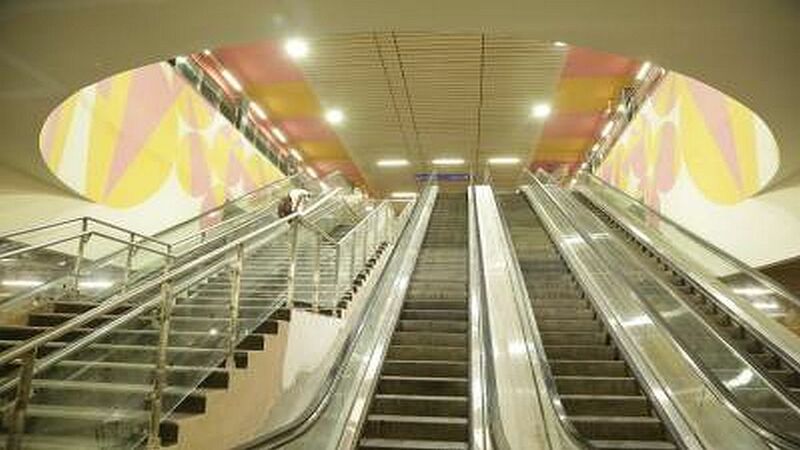 Anuj Dayal, Executive Director of Corporate Communications, DMRC was quoted in the report saying that in order to monitor the increased number of elevators and escalators effectively, Delhi Metro has invited bids to explore the use of technology for centralized monitoring of elevators and escalators provided on the Pink Line. He further informed that on the basis of the outcome, the future course of action shall be decided. For metro commuters, elevators and escalators are important facilities as they help commuters negotiate different levels, such as concourse, ground as well as platform at the metro stations and with the expansion of the Delhi Metro network, the numbers of elevators and escalators are increasing, he mentioned and also informed that all elevators and escalators of Phase III project were energy efficient. The escalators at pink line metro stations. While elaborating the system, Dayal said that the status, as well as fault codes, are already available individually at each elevator and escalator. The information will be taken from each equipment and using the matching communication protocol, it will be brought to the station control room. Then, the information, from each station will be sent to a central server using the communication network. Following this, the concerned officers will be authorized to access the information at the central server, which can be used to check the operational status, plan maintenance requirements and also to carry out different analysis, which shall evolve gradually over a period of time. At the command center, once a fault is detected, the station control room would be asked to fix the problem. He added that even though the process of rectification is likely to remain the same, the response shall be faster, which is likely to reduce the downtime of equipment.